The Difficult Birth Of Brazil's First "Green Municipality"
Consumer giants like Unilever and Marks&Spencer have promised to source materials from states and regions that slash deforestation, but slowing deforestation requires buy-in at every level of society. Here’s how one Brazilian jurisdiction became the country’s first “Green Municipality”, and why that success may prove difficult to replicate. This is the first in a series of stories examining the emergence of Brazil’s Green Municipalities: what they can achieve, what they can’t, and what must happen for them to succeed. 9 February 2016 | Adnan Demachki hadn’t caught a good night’s sleep in days – not since the riots started. The year was 2008, and the riots began on November 28 – exactly eight months after he’d begun transforming Paragominas from an environmental pariah into a Município Verde, or “Green Municipality” – although “county” might be a better way to translate município. Paragominas sprawls across more than 19,000 square kilometers – nearly 7,500 square miles – of forests, farms, and fields in the Brazilian Amazon, and in 2007, it had the second-highest rate of deforestation in all of Brazil. The Green Municipality program was supposed to end that, and for a few months, it succeeded – but now it had all gone horribly wrong. Surely, he hoped, they won’t care about an obscure local dispute deep in the Amazon. But they did care, and that meant it was all unraveling – all the trust he’d built among environmentalists and reputation-sensitive food giants, which in turn was built on agreements he’d forged among cattlemen and loggers and settlers and indigenous people. It was all going up in smoke – along with City Hall, along with IBAMA, and along with the Amazon rainforest – and this just two months after he’d won re-election. It was a text message, from a number he’d never seen before, requesting his presence the next morning in the charred City Hall. The first was a letter of apology to Brazil’s Minister of the Environment, Carlos Minc, and to the nation as a whole, asking Brazil to forgive the people of Paragominas and reiterating his promise to end deforestation by the year 2014. It left room for signatures from 51 organizations. If they’re not behind this Green Municipality idea, he thought to himself, then I have nothing to offer. The next two days would have profound implications for Paragominas and the entire Amazon Rainforest, and the consequences are being felt to this day, but the sequence of events that culminated in late 2008 began five years earlier, when President Luiz Inácio “Lula” da Silva took office and appointed Marina Silva as his minister of environment. The daughter of rubber tappers in the state of Acre, her appointment sparked high hopes among environmentalists – and it didn’t hurt that her last name, as well as Lula’s, means “forest” in Latin. At the time, Brazil was losing a record 25,000 square kilometers of forest per year, according to the National Institute for Space Research (INPE), and it accounted for 5% of the world’s greenhouse gas emissions. Lula launched a US$136 crusade against forest destruction – establishing land-use controls, promoting sustainable development, and ramping up enforcement of forest laws. Marina, as her supporters refer to her, started beefing up the previously impotent IBAMA, but landowners pushed back: the Forest Code, they said, was vague and contradictory, making enforcement uneven and unfair. Until then, it had also been non-existent. Lawmakers began updating the country’s strict but poorly-enforced Forest Code, and by 2007 they’d agreed on a clearer – and in some ways more lenient – law, but one that was also eminently enforceable and came with positive incentives to comply. The old rules still applied: Amazonian landowners still couldn’t convert more than 20% of their forestland to farms, but the new rule would be enforced with a combination of fines and incentives, as well as amnesty of sorts for the farmers of Paragominas, which was classified as a “consolidated development area”. That meant landowners could be forgiven for exceeding their 20% limit, but only if the excess deforestation happened before 2008 and only if it didn’t exceed 50%. Also in 2007, an NGO called the Institute of Man and Environment in the Amazon (Instituto do Homem e Meio Ambiente da Amazônia or “Imazon”) started processing data from NASA satellites and publishing state-by-state deforestation rates every few weeks. The data clearly showed that some states were worse than others, and that Mato Grosso and Pará, where Paragominas was located, had the highest rates of all. 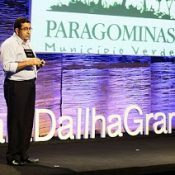 On top of this, Lula asked Ibama´s environmental protection director, Flavio Montiel, to identify the municipalities with the worst records and put them on a “Black List” (the favored name is now “Critic List”). He identified 36 municipalities that, combined, represented just 6% of the jurisdictions in the Amazon, but accounted for more than half of deforestation in 2007. Almost half of them – 17 to be exact – were in Pará state. Paragominas was second on the list, and it immediately lost access to credit and faced an embargo on new land permits, while IBAMA – together with the Federal Police and the National Army – launched an enforcement mechanism called Arco de Fogo, or Arc of Fire. Landowners who exceeded their tree-chopping allowance were soon being visited by armed soldiers, who often arrived by helicopter, and commandos began tossing illegal loggers out of the forest and shutting down charcoal plants and illegal sawmills. With Imazon’s land-use data, he started finding answers. “We spent every night talking about behavior change, the way we manage ourselves as a municipality, global warming, climate change,” Demachki recalls. By all accounts, it was an inclusive process, involving the heads of the various farmers’ unions, the loggers’ associations, the laborers who turned illegally-harvested wood into charcoal. At the same time, Lula and the governors of the Amazon states – Acre, Amapá , Amazonas, Maranhão, Mato Grosso, Pará, Rondônia , Roraima and Tocantins – launched the Sustainable Amazon Plan (Plano Amazônia Sustentável or “PAS), which was a roadmap for municipalities to get off the Black List. Although called a “plan”, the PAS is really a set of guidelines that the states agreed to follow while trying to balance growth and conservation. The idea was to impose enough regulation to slow deforestation, while leaving enough flexibility to meet the social and cultural particularities of each state. A cornerstone of the PAS was the CAR – the Cadastro Ambiental Rural, or “Rural Environmental Registry”, which is a national database of rural properties. Registration was voluntary, but any blacklisted municipality had to get 80% of its land onto the CAR to get off the list – and that was no easy task. To begin with, the population of the Amazon’s “new frontier” had increased more than six-fold between 1960 and 1970, as the government incentivized land clearing. These rural pioneers rarely gained official land title, and it was nearly impossible to tell which farmers were responsible for which rainforest destruction. On top of that, farmers often balked at getting on the CAR – an act many saw as akin to sticking your head into the lion’s mouth. “They’re basically afraid they’ll get hit with a massive fine if their land is mapped and it shows they’ve exceeded their deforestation limit,” says Ian Thompson, Director of the Amazon Conservation Program for The Nature Conservancy (TNC). Slowly, farmers began to join the CAR – and many early-movers said they were able to better manage their land as a result. The loggers, for example, continued to poach timber from the Tembe indigenous territory, and the illegal factories continued to turn much of that wood into charcoal. Damachki and IBAMA clamped down on these operations, but his efforts to attract new businesses languished – largely because of the municipality’s dirty reputation. “That stigma was hard to overcome,” he says. Tensions began to build between the farmers – who saw a clear benefit to the Green Municipality initiative – and the loggers, who didn’t. It escalated as IBAMA confiscated 15 truckloads of illegally-harvested timber, and it all came to a head after the November 15 Republic Day celebrations. The world is watching, he said, and he implored them to reaffirm the deal they made eight months earlier – or, he warned, they’d give up all hope of attracting the kind of jobs they needed. “I needed unanimous support, or we would never overcome the stigma,” Damachki says.